In the blink of an eye, the life of a child can change due to a tragic accident. On January 24, 2010, while riding her scooter near their home in Florida, 8-year-old Amy Sue Root was struck by a truck and thrown 60 feet into the air, landing in a ditch unconscious. Amy had forgotten to wear her helmet, so her skull was smashed upon impact. Amy’s mother Susan had to perform CPR on her lifeless daughter before paramedics arrived and took over. Amy was flown by helicopter to the local medical center where she underwent emergency brain surgery to save her life. Because of the accident, Amy suffered a catastrophic brain injury, was in the hospital for four months and is now a quadriplegic. Amy underwent many surgeries including bilateral bone flap removal, shunt placement, right jaw replacement, bilateral tendon release, tracheostomy, gastrostomy, and in the future will need spine surgery to correct severe scoliosis. When finally discharged she was hindered by other disabilities including cerebral palsy, hydrocephalus, epilepsy, and chronic respiratory insufficiency. Amy is now 15 years old and is non-verbal, tube-fed, and requires 24-hour skilled nursing care. The laws in Amy's home state of Florida made it difficult for her to receive the nursing care she qualified for so a year ago, mom Susan, a single mother of three, moved their family from Florida to Peyton, Colorado to participate in a state program that allows family members to train and become paid caregivers. Their move has been life changing, and also allowed Amy to have access to CBD oil for greater seizure control. Unfortunately, Amy is now housebound as travel is nearly impossible due to the wheelchair lift on the family’s van being broken. Back in November, Performance Mobility in Colorado Springs gave the Root’s a quote to fix the lift and ever since, Susan has been trying to find a way to pay for the repairs. 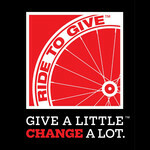 Ride to Give wants to help. We have been in touch with Performance Mobility about fixing the broken wheelchair lift, and they are very excited to work with us on this project. Please help Ride to Give provide Amy with a working wheelchair lift so she is able to have her freedom back and safely leave her home again. You can keep up with Amy's progress by following her on Facebook.